HONOLULU, HAWAI‘I (Sept. 4, 2013) – Whole Foods Market Hawai‘i announces the winners of its inaugural ‘ONO Awards, spotlighting the local producers and suppliers who best embody Whole Foods Market’s mission and core values. The awards, which are the creative brainchild of Whole Foods Market Kāhala marketing supervisor Dabney Gough, were presented at Whole Foods Market’s SPROUT Hawai‘i seminars, which took place in August. “Appreciations are a big part of our culture at Whole Foods Market, and the ‘ONO Awards are a new way for us to publicly appreciate outstanding local producers who are helping to move our food landscape forward,” said Dabney Gough, marketing supervisor at Whole Foods Market Kāhala. ‘ONO Awards recipients were chosen by Whole Foods Market Hawai‘i team members, public votes and nominations, in a number of categories. Whole Foods Market has been actively sourcing local products since opening its first store in 1980. 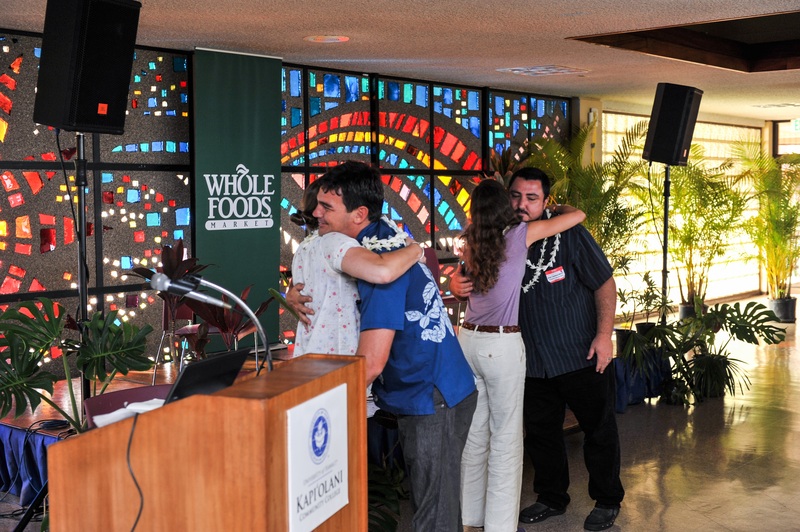 In Hawai‘i, Whole Foods Market currently partners with nearly 300 local farmers and producers. In 2012, the stores proudly sourced 43% of the fresh produce used in their prepared foods offerings and sold in the produce department from Hawai‘i farmers. The Hawai‘i team continually seeks out additional local products and producers to grow the volume and variety of Hawai`i grown and made products available at Whole Foods Market’s three island stores. To learn more about Whole Foods Market, please visit http://wholefoodsmarket.com/.